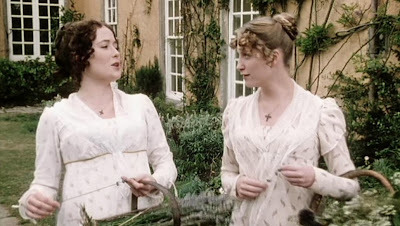 In celebration of the 202nd anniversary of Sense and Sensibility's publication, today (October 30), as determined but... somebody important, is "Talk Like Jane Austen Day." So assume a Regency demeanor and have a splendid time quoting your heart out and trying to speak as if you've been transported two centuries back in time. 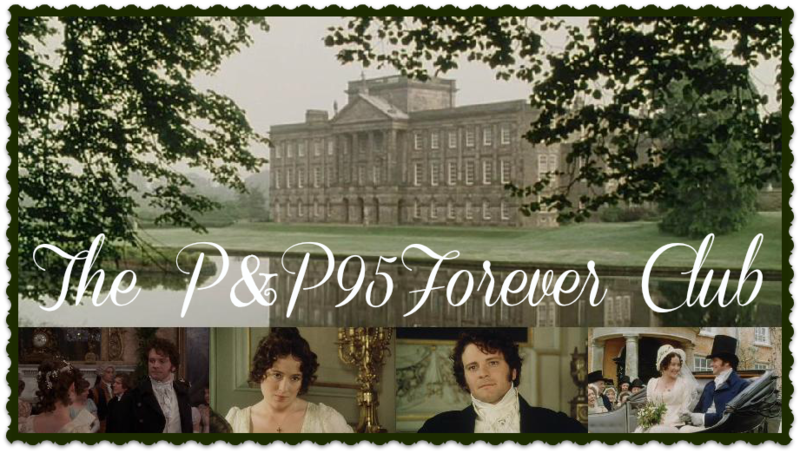 One thing I've always loved about P&P95 is all the wonderful talking they do. For new devotees it will take some time to become accustomed to--it did for me, back in those days--but I always thought it sounded delightful, and the actors do a lovely job of making it seem realistic. Visit the web page for Talk Like Jane Austen Day here. I love their language too and the P&P quote I use the most often would have to be "You must allow me to tell you..." or "It is a truth universally acknowledged..." Although I must confess that I don't quote Jane Austen that often at all. Must remedy that! I love how they really seem like a family. I like the "It is a truth universally . . ." and "Such as I was from eight to eight and twenty; and I still might have been but for you, dearest, loveliest Elizabeth!"